A young and influential emerging leader decries the evils of religion. Religion is condemned as a “work of man”. The young pastor continues, “Christianity,” on the other hand, “is not about religion. It is about relationship”. In the same way, that the Bible is human literature, Christianity is human religion. But does this mean that there no divine reality behind them? We call one side of the coin “heads” and the other side “tails”. In a limited way, religion and revelation are like the two sides of the coin. Religion is the human side of the coin. It is the young preacher, standing up at the scheduled moment of a regularly scheduled worship service, addressing the audience of Christians, and saying that what “they” are doing is not religion. “Amen,” they all say in unison. Like a coin, we cannot see through these human religious practices to the other side of the coin. 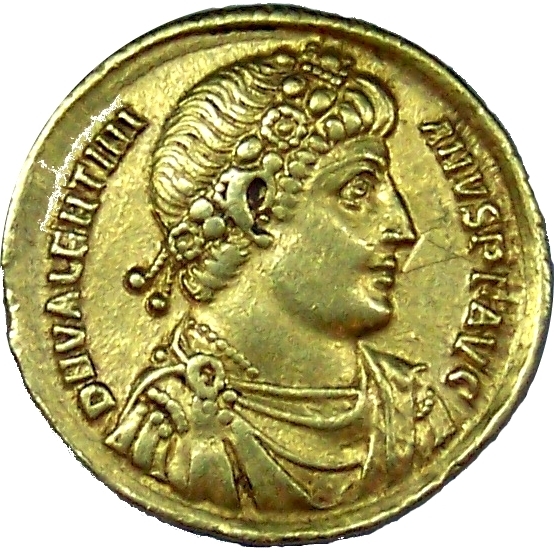 This young preacher’s very religious existence, however, is a witness to a moment when, in his experience, the coin became permeable and the “other side” came across to the human side. This is a limited analogy because it suggests a hard divide between the world that the “eyes of faith” see and this world that the rest of us see. But it is not so much an issue of a hard divide between two worlds as much as it is an issue of seeing. “That” world and “this” world are one. Religion is the human product, the tangible residue or social manifestation, to a “this world” faith encounter with the mystery we call God. God speaks to him. That’s a relational faith encounter between God and man. Abraham constructs an altar to commemorate his encounter with God. Saying something is only human doesn’t mean it ends (or begins) there. Humans are by nature religious. Even the humans that preach against religion are doing so religiously. They normally do so at prearranged gatherings they call worship services or celebrations, but they can (and do) practice their religion casually and relationally too. At their services, dozens, hundreds, sometimes thousands of people rise at the same time, travel to the same place, and participate in the same practices each week. Then the young preacher rises and preaches against religion, by which he means empty ritual. But religion is not evil or good, empty ritual or full devotion, as a first consideration. As a first consideration, it is natural. It is a hallmark of our species. We are the animal that worships. Every human society of which I am aware has religion. And there are no other species with religion. Yet. Somewhere in the mists of prehistory our species awakened to a heightened consciousness about itself, others, the world around it, and the sacred. The origins of this consciousness is a mystery. Indeed, the origins of consciousness of any sort is a mystery. Religion is the social manifestation, at least at its point of origin, of the encounters with the sacred of those who have stepped into this mystery. It is the human side of things. Except to those who experience a “touch” or a “call” from that other side, the practice of religion looks like a social construct conceived in the human imagination only. The Christian religion, like the Bible, is a human creation. (A human creation, a secondary source, a penultimate concern, a human witness to a spiritual encounter). Neither Christianity nor the Bible are the revelation. In the pecking order, Christianity has a lower priority in seeking to understand that pristine revelation than does the Bible, and they are both inseparable from the revelation, but neither are the revelation. Let’s take that thought another step. To say that Christianity and the Bible are human creations (and human creations only) does NOT mean that they are false. I am convinced that God is encountering our species in the world out here outside of the church, outside of the biblical literature. Let’s restate this thought. I suspect that both the Bible and Christianity are responses to an external force at work in the world. That’s revelation. Revelation is the moment that the coin becomes translucent and the other side which we cannot see appears on our side of the coin. When God speaks, that’s revelation. When humans turned and wrote or created or organized in response to this revelation, that’s religion. Almost three decades ago, I had a series of experiences that made me a passionate follower of Jesus Christ. Everything I’ve done and said since then is my religion. I don’t use the term “passionate” to describe a high emotional output. I’m too rational to ever fully enjoy the subjectivities of the faith. I use it because, as I think over the last three decades since my own awakening, it is obvious that regardless of what I’m doing, conversations about pursuing God have been central. Still, while my encounter with God seemed pristine, my religion does not. I want no one to follow my religion. That would be the first commandment of my religion: Don’t join it. However, I want everybody to experience a pristine encounter with that blazing white light that doesn’t consume what it touches. My encounter with God happened in the context of hearing the story about Jesus, observing a community of faith, personal reading of the Bible, participation in discussions about the Bible and faith, being in the proximity of prayer, listening to the proclamation of the gospel, a deliverance from evil, and a vision. In other words, the believing practice of the Christian religion created the context in which I had a faith encounter with God. There is no one foundation for my faith. It emerged out of a web of relationships and experiences that culminated in a moment of insight that required commitment. My own practices — reading the Bible, discussing the story of Jesus, starting small groups for Bible study and prayer, announcing the victory of Jesus, participating in communities of faith, challenging false thinking, thinking about the future, studying history, society, and culture, praying for deliverance from evil, calling on others to believe — over time led others to their own encounters with God. If our experience of God, or something like that, is what happened to our pre-historical ancestors, it is no wonder religion arose right along side our species. 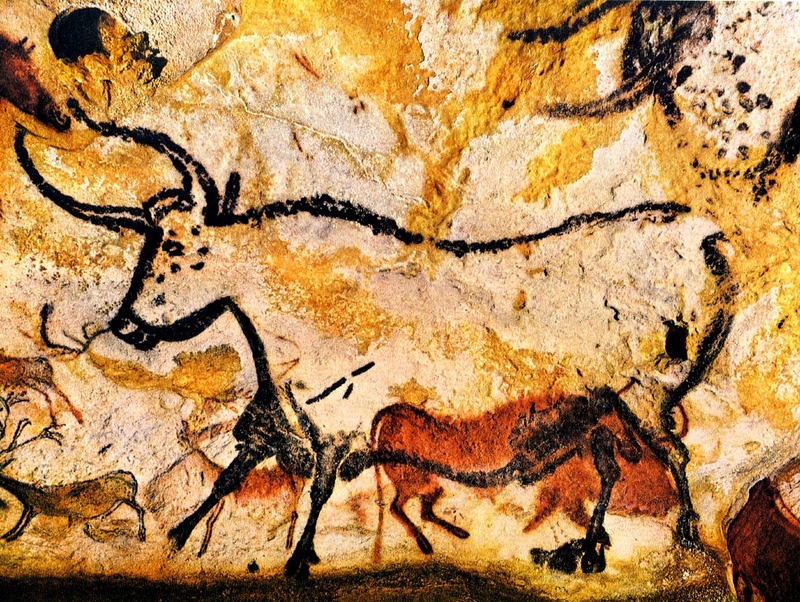 The ancient cave paintings of southwest France may be vestiges of the first religions which were most likely shaman like experiences of connection with the spirit world. They point to something beyond themselves and participation in those experiences often allowed (and allows) others to feel close to the vibrations of God out here in the real world. Our species was born when we adapted to some encounter in the natural world with the “fire-that-does-not-consume” somewhen in prehistory. Perhaps 21st century Homo Sapiens also move towards those encounters instinctually, like salmon finding their way back to the place of their birth to spawn. We look for answers to our deepest questions as a matter of a deep and internal scripting. In the same way, that the lizard, through evolution via the process of natural selection, has “learned” to turn colors yet doesn’t know why it turns color, we turn in our hearts on a quest for God. The content of biblical religion is at heart the human witness that God reveals himself to us (and potentially will again) in the turning. The encounter in which God reveals himself to someone(s) is Revelation. Telling others about it and reorganizing our lives because of it is Religion. Christianity is the religion that reorganizes itself along the belief that God is speaking to the whole world through Jesus Christ. Christianity is not pristine. It is, after all, a religion. But an encounter with God is. That is revelation. Why is Christianity on its best day such a dynamic and revolutionary religion? Because the revelation that birthed the personal faith of the founders, which gave rise to both Christianity and the Bible, was dynamic and revolutionary. Christianity as religion is at its best when it is the flip side of the coin to God’s revelation in Christ. Unlike the coin of our earlier analogy, the divide between seeing and not seeing is not opaque like a coin. It is transparent. The divide between revelation and religion is faith. Faith is not primarily about acting on what we believe. It does not initiate within us. Faith is a response and as such requires something to respond to. Faith begins on the outside. It begins with a moment of reception, a moment of seeing, sensing, hearing, desiring, intuiting, believing, and then taking that first step. That first step is our religion. It is our religion that everyone else sees. Religion, even the Christian religion, or its product like the Bible, is not revelation. There is a story in the gospel about Jesus who is trying to heal a blind man. His first attempt results in the man being able to see but not interpret what he sees. He looked at the people and they seemed to him to be walking trees. Religion is the voices of the blind arguing about what to make of the walking trees. Religion serves the revelation and not vice versa. Religion can go off course and can be adjusted to realign itself to the pristine moment when God reveals himself. Some adjustments are clearer than others, some embodiments of the revelation may be purer than others, but in the end, they serve as signposts to an encounter with God. This God encounter is one that humanity, from its very beginning and across time and space until this very day, has experienced out here in the natural world. Like the lizards who “learned” over eons in the wild to turn colors without knowing why, we search for God. Do we humans have religion because God is out here showing himself to us? Are we, in fact, discovering God or are we inventing Him? Does our biological scripting, our social religious constructs, as well as our personal experiences suggest a mystery? Your answers are your religion. Why does the Bible have authority? N.T Wright’s essay on the authority of scripture. Just got caught up on all the latest comments on your previous post & now have read this one… can’t wait for the next one, which I think will give me a broader view of the strengths and weaknesses you see in the hebrew and christian scriptures. And more than “strengths” and “weaknesses”– their innate nature. That seems to be the main point behind these three posts (speaking presciently about the third). To some extent, the ontological arguments about the current biblical canon are merely academic. The bottom line concern that Weaver, Gnotek, et al. share [and me too] is whether or not the scriptures adequately communicate truth about God: adequate to support a genuine relationship with Him, giving true insights to Him and ourselves and spiritual reality itself. We can argue inerrancy vs. infallibility vs. ordinarity (the latter is your position, Alex: the Bible as “only human literature, not divinely coauthored”) all day long. Perhaps the bottom line that would genuinely divide us is whether we accept scriptural “adequacy”– and we’ll have to define that as well, as we go! Personally, I’m happy with the scriptures we have: I think they are fully adequate (the Hebrew scriptures = OT, and the Christian scriptures = NT) to communicate truth about God and about spiritual reality. By “fully adequate” I do not mean that we have no need of what Alex refers to as “other threads in the web” of faith in Christ. I mean that Alex’s view of ordinarity doesn’t bother me, because he does not use that as a springboard to discount the scriptures. Seriously considering “ordinarity” does mean that the vast variety of other forms of divine communication are no longer eclipsed by a blinding nimbus of unique scriptural inerrancy… and that is a good thing, even if in the end the “inerrant” view turns out to have been right all along. Hey Nic, Always to good to hear from you. If you’ll remember Nic, “adequate” (for relationship, insight, etc) is exactly the word I used about the communicative function of the scriptures. I would not describe my position on the Bible as “ordinarity”. I would describe it as “spectacularity”. This “only human literature” is the most spectacular human literature in the world. You’re exactly right. I am building a way to speak about knowing God that affirms the Bible as it is. Again, you’ve understood me correctly, the Bible is one way God may speaks to us as opposed to “the” way. however, the Bible is one of the ways and cannot be excluded. Can’t say I fundamentally disagree with you on this blog post. A couple details I’d like to comment on if I may? Not really. From neither a sociological nor religious viewpoint. A few years ago I had a class at U-M called Human Interaction. It was quite clear and apparent the development of consciousness and self awareness. The evolution of man from a pea-brain, knuckle dragging humanoid to a self aware human being has a particular order. But it was speech that was the golden spark of consciousness. Religiously it was when God looked at these knuckle draggers and said, “Let us make man in our image, in our likeness…” and endowed man with consciousness—the image of God. Perhaps again a matter semantics, but I don’t think someone said, “Hey, let’s create a religion around this fellow Jesus Christ.” I would say it all started as real bona fide experiential movement and later degraded to a religion when rules, rites and dogma institutionalized it. ~~~~~~The encounter in which God reveals himself to someone(s) is revelation. Okay I guess that answers the semantics of the above comment. But this still seems to me a loose translation of “religion.” I mean if I have an experience with you, or smoke a cigar with Harris, then share such an experience with McCollum is that then “religion?” I mean even if say, you and I have a deep conversation and I get some deep, mystical meaning from it and then tell lots of people, are you saying that’s religious? Alex – truly enjoyed this post, and your chain of thought. I had a life-changing encounter with Jesus Christ thirty-two years ago. That encounter and resulting relationship has defined my life, and shaped its direction. One hallmark of the journey has been, for lack of a better term, “blessing” – the entirely undeserved tangible and intangible favor of God. Yet, though I also want others to experience how much better it is to walk through life living in an active relationship with a habitually loving and faithful God, I don’t necessarily want God’s revelation in my life – my specific experience – to quantify or limit the experience of others. I trust that God will see things through to completion in the lives of all who begin the journey, as in Philippians 1:6. Our innate attraction to religious ritual and tradition is obvious. I wonder sometimes, though, if maybe some of the division we see among Christians on this doesn’t come down to individual personality types or patterns. I mean, some people seem to innately love tradition in general, while others among us look at tradition with sort of a natural skepticism. I’ve thought of this often in regards to a very “religious” movement or experience I’ve been involved in for more than three decades. It’s known by a lot of names – Cursillo, Walk to Emmaus, Tres Dias, Via de Cristo – but amounts to Christian renewal within the traditional Church based on a rather intense retreat kind of experience, followed up by subsequent life in actively accountable community. As a leader in such efforts, in more than one denomination and in Illinois, Texas, Arkansas, Oklahoma and Louisiana, I saw from the very beginning the compulsion of many participants to want to duplicate their experience for others. That is, they would come back from what had been a life-changing retreat, and would want to replicate moment-by-moment their experience for the friends/family they would invite to a subsequent retreat. We’d have to, you see, have this particular person sing this particular song at this particular time, or it just all wouldn’t “work.” Revelation wouldn’t come. 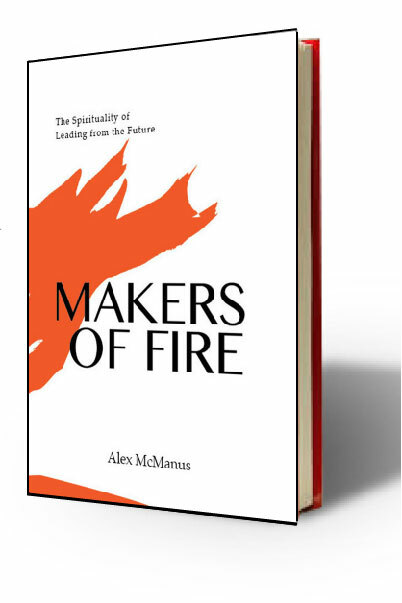 People would have significant life-changing moments of revelation, and would tend to link that revelation to specific momentary natural world experiences rather than to their own momentary openness to the constant presence of the Holy Spirit. One close pastor friend of mine likes to say that these retreats “work” because we are faithful in prayer for weeks and months in advance, praying over and over “Come Holy Spirit,” and because of that the Holy Spirit “shows up.” I used to buy that but I don’t anymore. I think Revelation comes, that lives are changed, not because of any exceptional momentary outpouring of the Spirit or of Revelation, but because momentary “natural world” life encounters help people remove the veil from their own eyes, ears and hearts to more fully participate in the presence of an incredibly faithful God that is constant among us. God doesn’t change but we change. God breaks through and then begins the arduous lifelong task of beating into us exactly the kind of God He is and what He wants our lives to look like because of that. Anyway…thanks for your thought-producing posts. Thanks for the GREAT post here, Alex. For too long we have looked dualistically (and divisively) at these elements. We have made it Religion VS Revelation, and in doing so have destroyed, divided and generally messed up so many who are merely “showing their side of the coin”. “Religion is the social manifestation, at least at its point of origin, of the encounters with the sacred of those who have stepped into this mystery. It is the human side of things” – If we could understand & embody this in our reactions then each person’s manifestation would not only be “acceptable”, but even refreshing and vibrant in its’ uniqueness. We could learn to appreciate the freshness of each social manifestation without having to judge it and (more importantly) without having to draw concrete conclusions about the other side of the coin . . .the nature of “The Revelation”. To quote the book, we’d understand that when we look at the social manifestation we only see in part. “Christianity is the religion that reorganizes itself along the belief that God is speaking to the whole world through Jesus Christ. Christianity is not pristine. It is after all a religion. But an encounter with God through Jesus is. That is revelation.” – Again, this understanding fundamentally achieves two things: Firstly, it validates expression and effectively removes the need for buckets (“missional, emergent, pandomissiological”, “presbyterian”, “house”, etc). Secondly, it does this by pointing to the revelation side of the coin. Once people connect with the one on the other side all of these arguments and questions pale (if not disappear) as we start following The Revealed. All of this leaves us free. Free to enjoy one anothers expressions, free to follow The Revealed and free to point others AWAY from our expression and toward the Revelation. Hi Alex, I enjoyed your post but am a little confused by it. I think you’re saying the Bible, God’s revelation to Abraham etc., then supremely through Jesus Christ, but also through nature and his creation, and indeed to humans through our own mind and consciousness is all true and part of reality. I’m slightly confused as to why this high view of God’s revelation to man, should then jump to downgrading the Bible to simply a human creation. It is of course a human creation but shot through the whole book is the influence of God working through the many authors of this book (which I’m sure you know better than me is really 66 books). But how, without it being the product of the revelation of God, does it cohere so well? How can authors nearly 1,500 years apart work with such unity of mind, and themes. Not just obvious ones but really extraordinary and unexpected linkages that are wildly improbable if just the product of the minds of different men and women, but makes sense if there is one infinite mind crafting the whole narrative albeit using human hands and minds to do it. I’m new at this game. I became a Christian a little over five years. This decision kicked off with an undeniable “pristine” experience along the lines you describe. I think my view of the bible was fairly neutral by then. But since, having tried to apply myself to it, and actually reading it cover to cover at least once now, I firmly believe there is no human article that exists that is like it. I say that as a former archaeologist!! Really can you think of a more important creation of human hands?